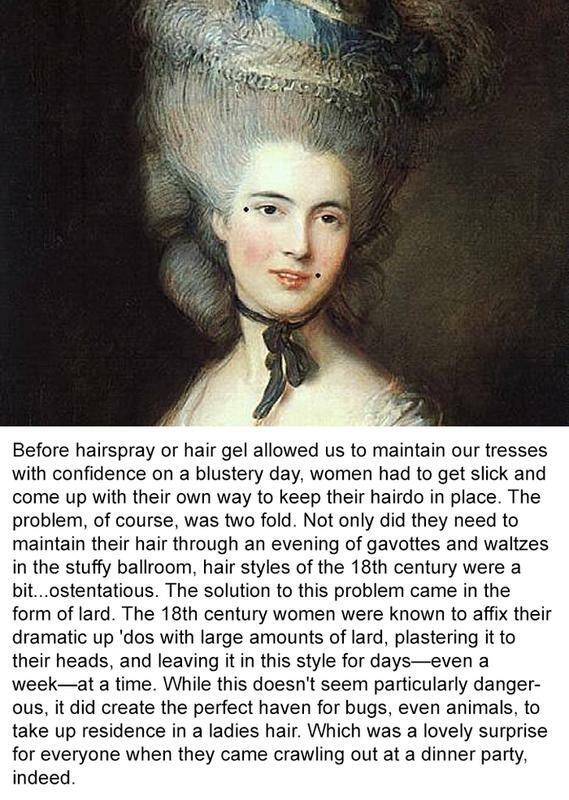 Lard To Make Your Hair Extra Tall! 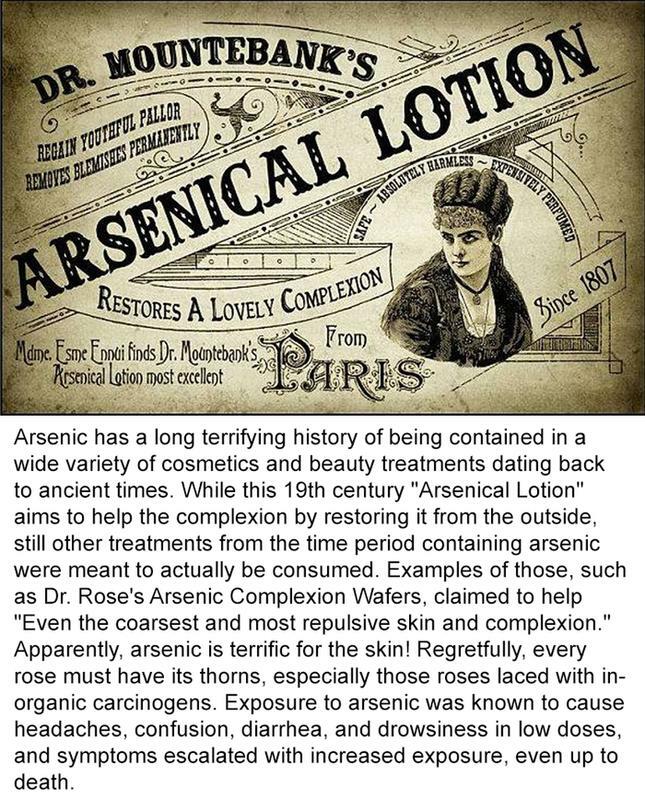 Arsenic To Make Your Complexion Extra Clear! 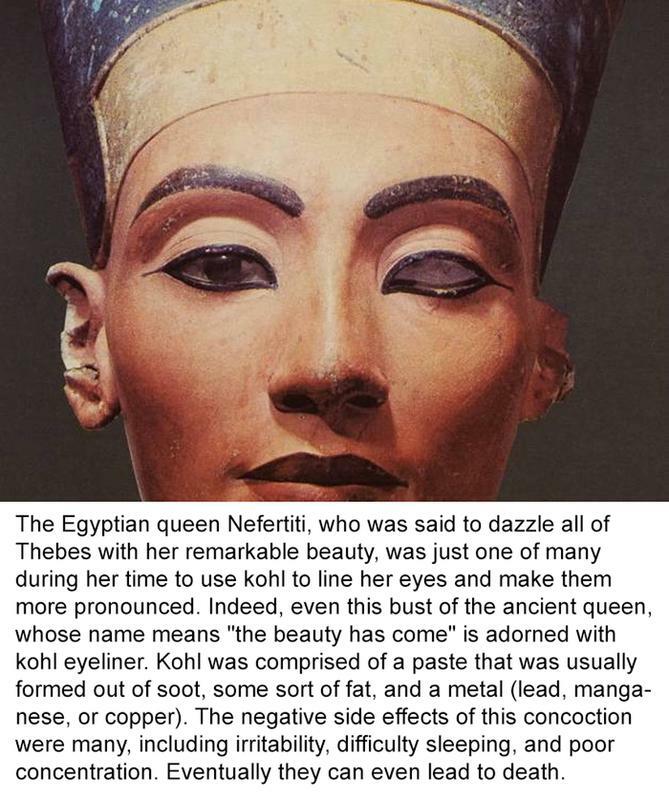 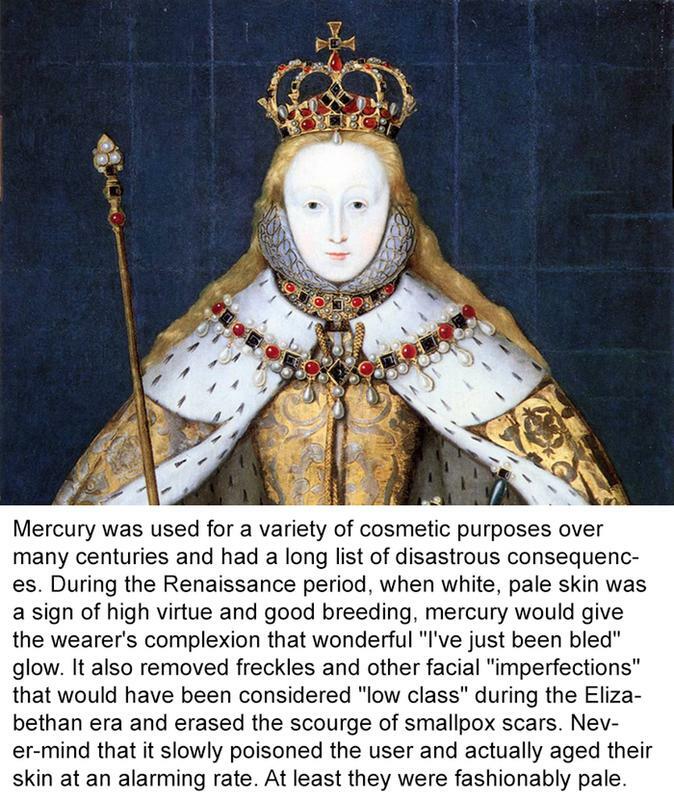 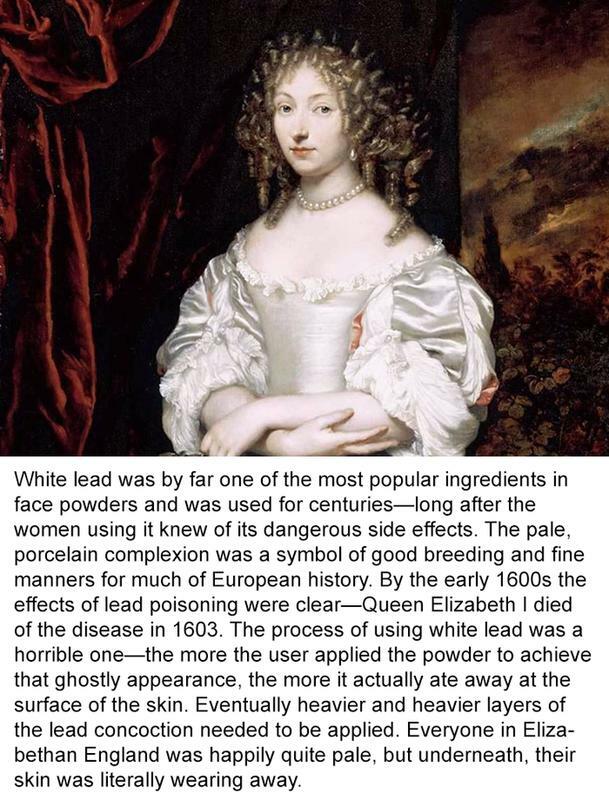 Lead For That Porcelain Look To The Face! 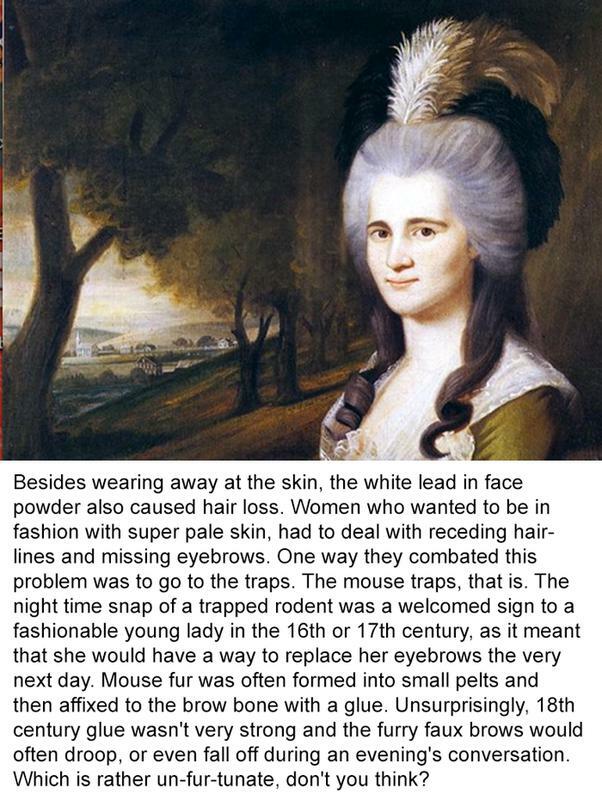 Mouse Fur To Replace Your Eyebrows! 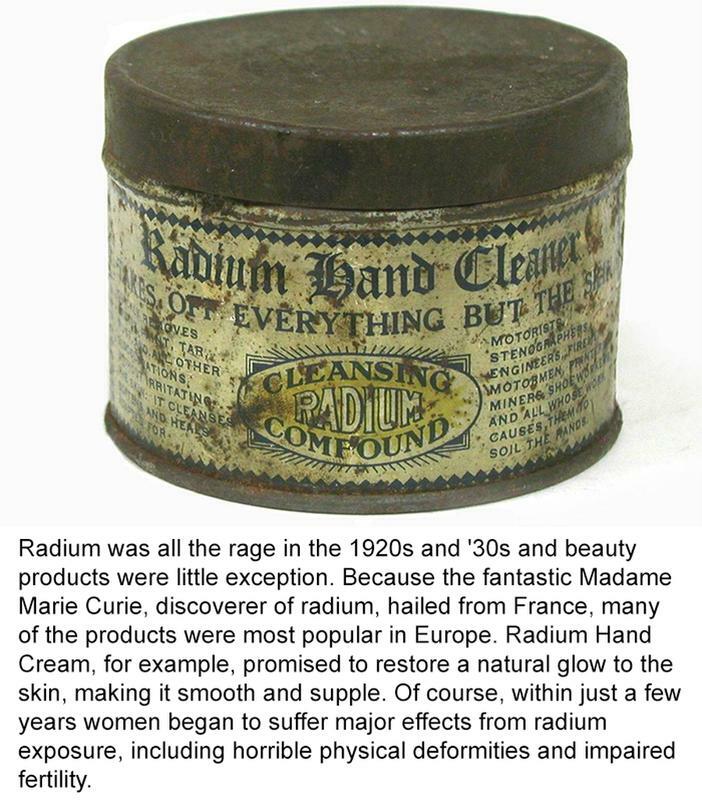 Radium For The Hands And The Face! 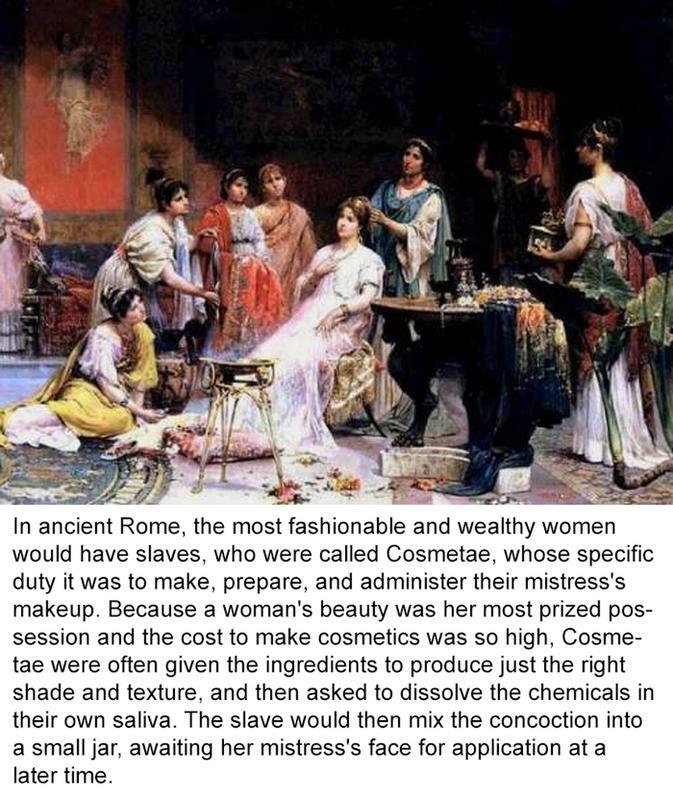 Saliva As A Makeup Base In Ancient Rome! 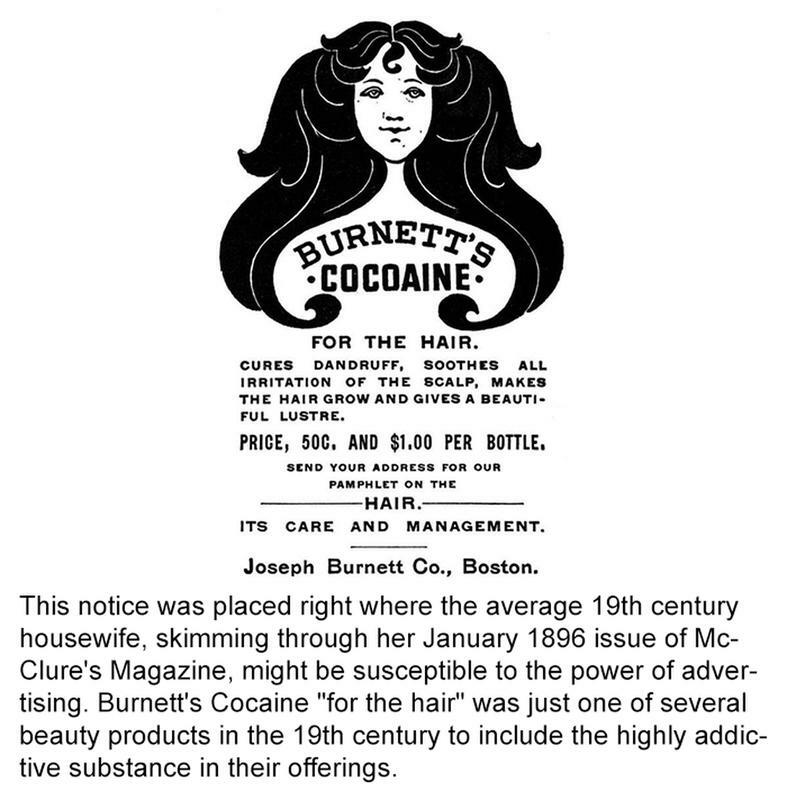 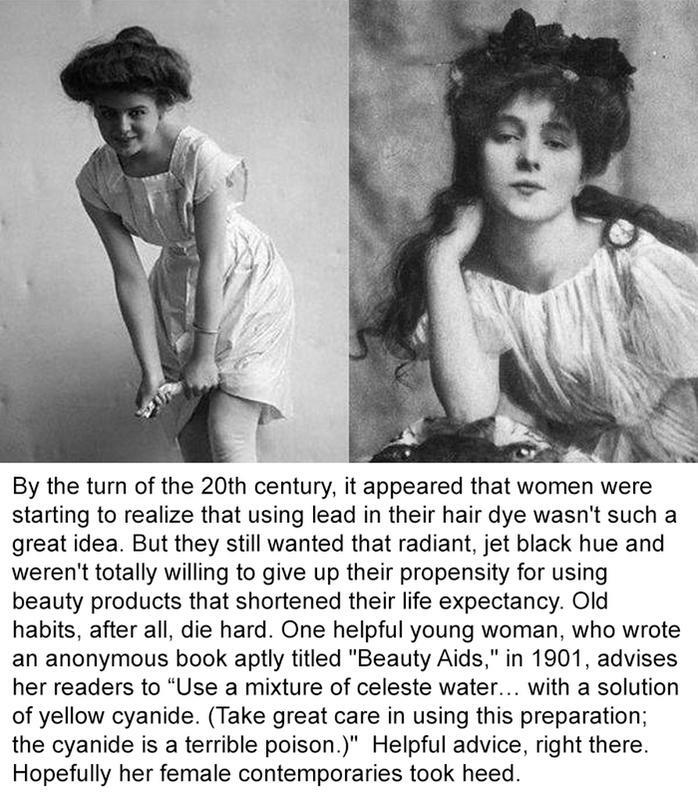 Yellow Cyanide For Hair Dye That's Safer Than Lead!